Our Kale and Quinoa Burgers are a tasty, plant-based alternative for your meals. 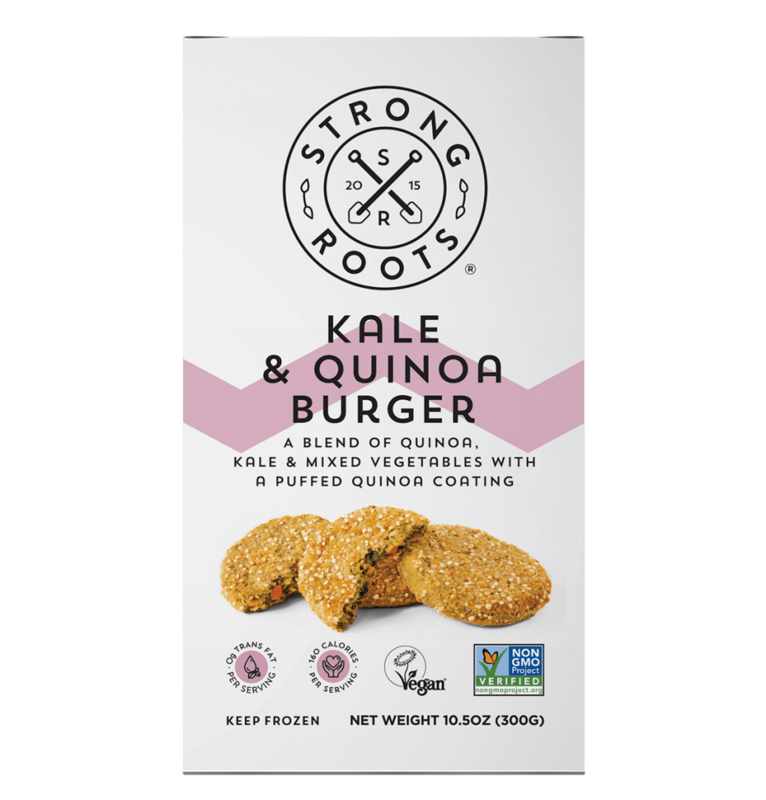 With its crisp quinoa crust and real ingredients, they bake to a delicious vegetable-based burger. 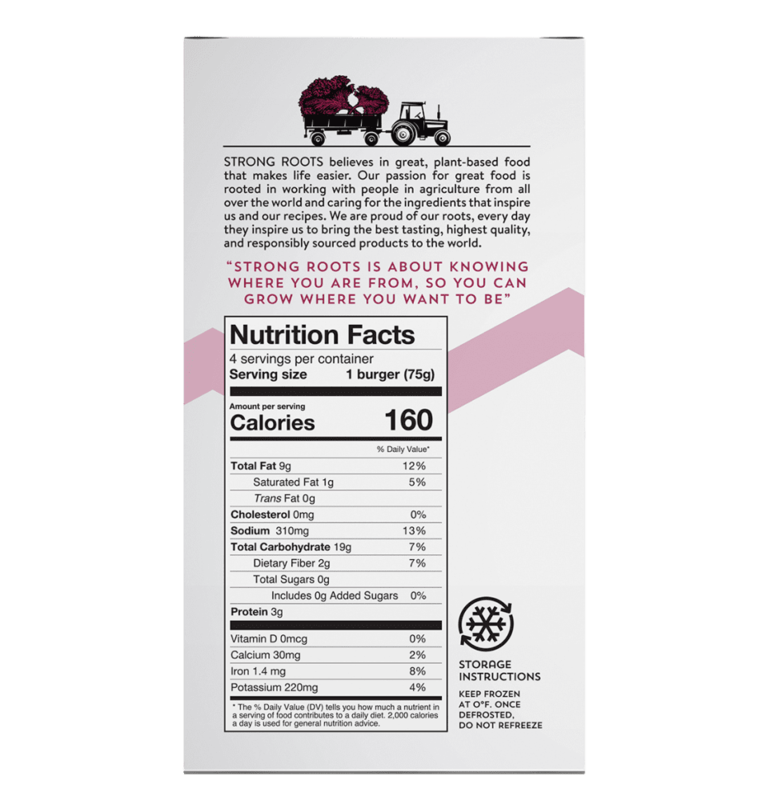 They are suitable for a variety of uses such as a starter, a side or simply as a burger in a bun! Curly Kale, Precooked Quinoa [Water, Quinoa], Water, Crumb [Spelt Flour, Puffed Quinoa, Sunflower Oil, Salt, Yeast], Sunflower Oil, Potatoes, Carrots, Roasted Onions [Onions, Rapeseed Oil], Soy Beans, Potato Flakes, Wheat Flour, Vegetable Stock [Salt, Maltodextrin, Spices, Rapeseed Oil], Soy Sauce [Water, Salt, Soy Beans, Wheat], Iodised Salt [Salt, Potassium Iodide], Curry Powder [Turmeric, Coriander, Fenugreek, Ginger, Cumin, Salt, Corn Starch, Cayenne Pepper], Garlic Powder, Ground Ginger, Black Pepper.